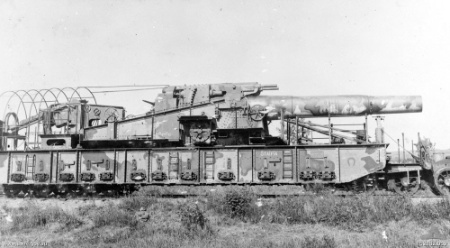 The Obusier de 370 modèle 1915 was a former naval gun, which was converted by the French army during the First World War to a railway gun and used both in the First and Second World War. 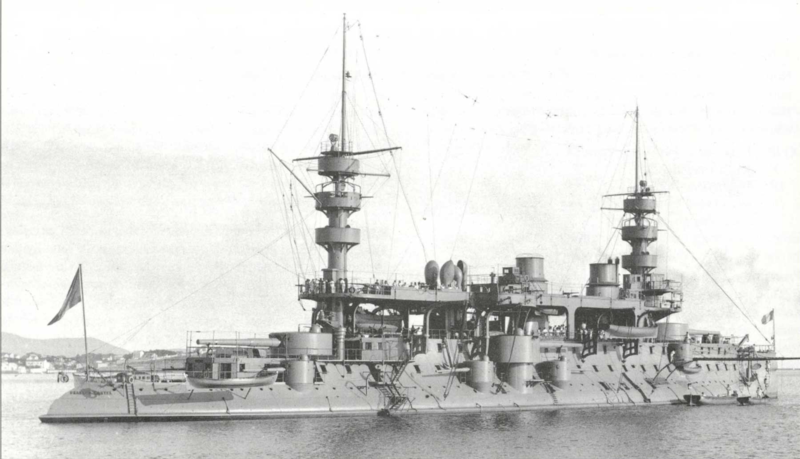 After the successful conversion of the Obusier de 400 Modèle 1915/1916 guns to railway guns, the French High Command decided, also because of the high demand for heavy artillery, to use further decommissioned naval guns and to convert these. 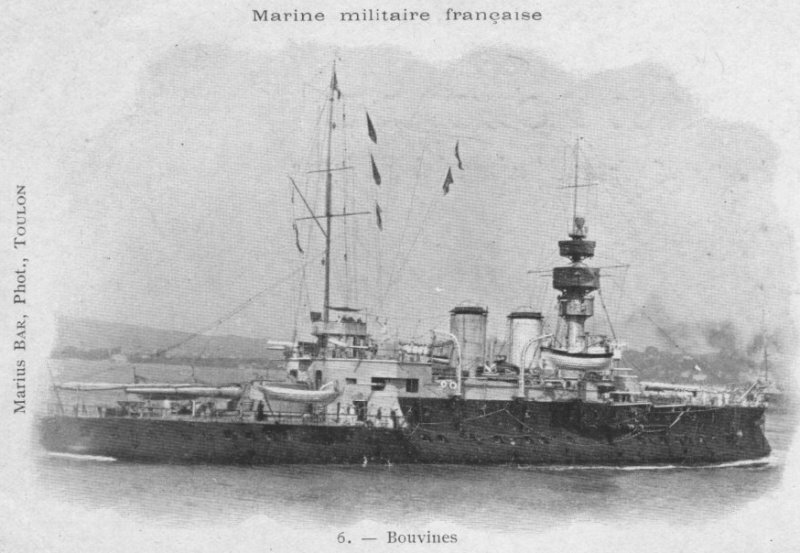 At that time, some Charles Martel class battleships and Bouvines class coasters were already decommissioned, but still had their full armament on board. The two companies Schneider and Batignolles were selected for the extension and conversion, as Schneider already had experience with such conversions. In the middle of 1915 the rebuilding began. 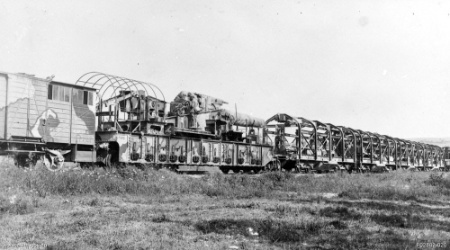 For this purpose, two 4-axle railway cars were connected with steel girders on which the gun was mounted. 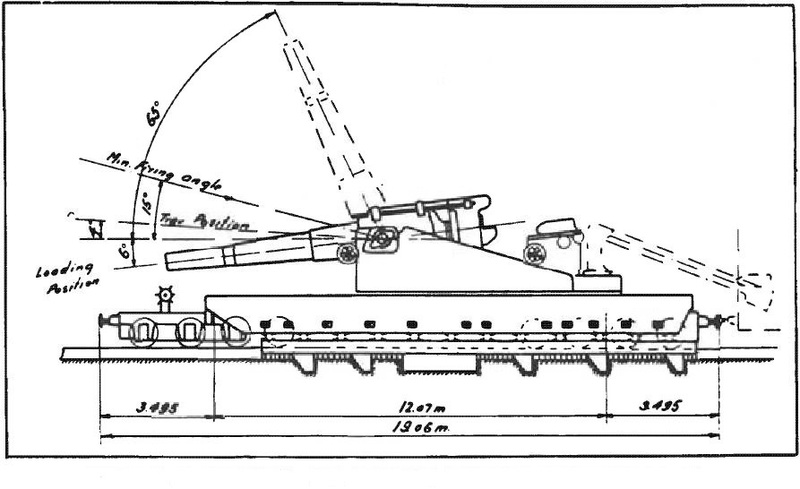 A hydropneumatic recoil system was used for the recoil, with which the gun slipped backwards after firing and then swivelled forwards again to its original position. In order to keep the wagon in its position on the tracks, 5 steel crosses with integrated spades were used which were lowered between the railway sleepers. Steel girders were also mounted next to the tracks. The assembly took about 3 hours. 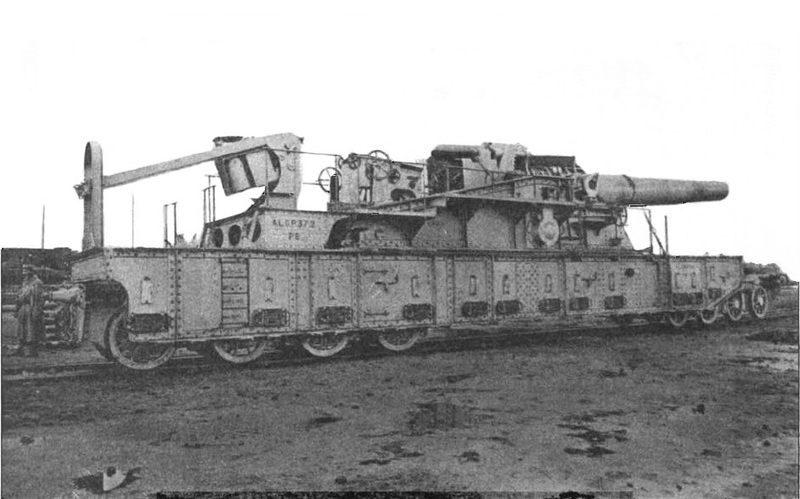 At the end of 1915, the first of a total of 8 railway guns were delivered to the French army and deployed on the western front. During the spring offensive of 1918, the German army succeeded in capturing 4 of the railway guns. One was destroyed during the later retreat, 3 were brought into the German Empire and had to be returned to France after the surrender of the German Empire. 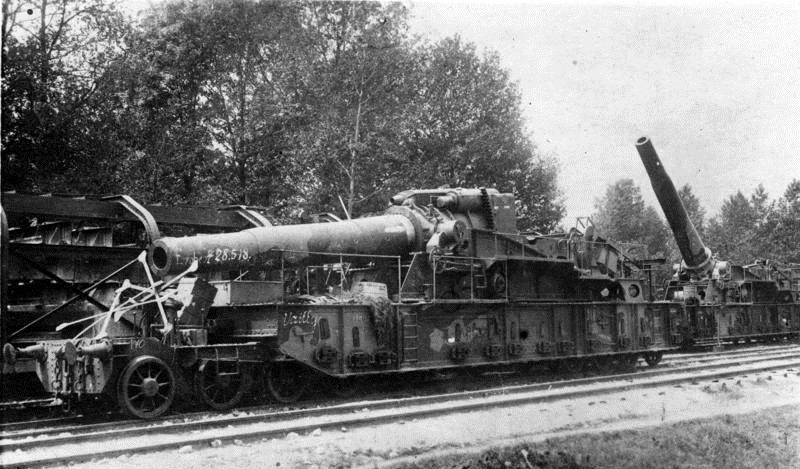 After the First World War and the return of the captured railway guns from Germany, the French army retained a total of 4 guns until the beginning of the Second World War. 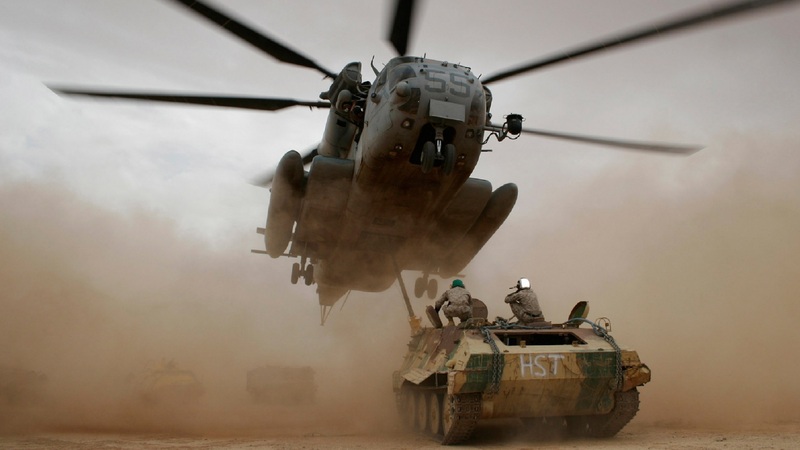 Whether these were used against the German Wehrmacht is not known. After the capitulation of France in 1940, however, these could be captured by Germany and put into service under the designation 37 cm H (E) 710 (f).